« Pioneer PeeWees: What’s Alive on the Prairie? Two hundred years ago the largest expedition to enter present-day Minnesota launched the development of an American military establishment near the meeting of the Mississippi and Minnesota rivers that proved to be a great turning point in Minnesota history. Never before in history had so many non-natives in one group traveled so far up the Mississippi – more than 530 miles north of St. Louis and over 200 miles upriver from Prairie du Chien, the northernmost settlement on the Mississippi in 1819. And never before had so many people from so many places made such a large “Cantonment” in that part of the wilderness. 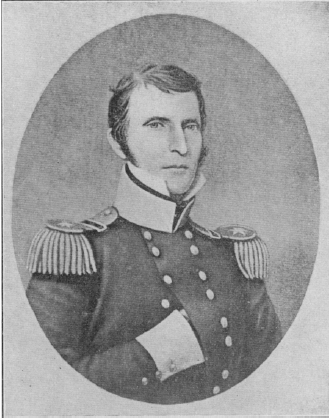 Included among the 128 members of this historic expedition were the first non-Indigenous women and children to enter present-day Minnesota, and the former New York lawyer and politician and war hero who led them, – the “polished gentleman” destined for fame but also misery – Commander Lieutenant Colonel Henry Leavenworth. The group’s adventurous story, which included the tragic deaths of dozens of soldiers and extraordinary hardships for everyone, is a significant chapter in Minnesota history; yet it is one of the lesser known ones remembered today – and when it is remembered its legacy is largely underappreciated and the details of the story greatly condensed. Minnesota historian and author Gary Brueggemann has been extensively researching this interesting and important story and will share what he has uncovered in a special pictorial presentation. Gary Brueggemann is a lifetime resident of St. Paul’s West 7th neighborhood, and he credits his love of history to his father, who inspired his son with tales about his own childhood growing up along the river below the Randolph Ave. bluff. Gary received undergraduate and graduate degrees from University Of Wisconsin – River Falls. Now retired, in 1978 Gary developed the first-ever college accredited course on St. Paul history for Inver Hills Community College, where he served as a history professor. Photo of Colonel Henry Leavenworth, Wikimedia Commons, in the public domain.